Vanity insanity. Haven’t we seen enough cases of anti-aging procedures gone wrong? Surgeries and invasive procedures have remained the best anti-aging solutions for years. People get under the knife and get needles pierced into their eyelids to defy age. And they go for it again and again. Sometimes it gets quite evident that they went too far with those procedures. As outrageous as it sounds, everyone wants to appear younger. As soon as the first real wrinkle appears, you realize you are actually brave enough to take any risk. Thankfully, we are living in an age where anti-aging isn’t a matter of taking chances anymore. The industry has seen tremendous advancements and solutions are much safer and effective than before. There are preventive solutions such as chemical exfoliants, antioxidants, and vitamin A (retinol). During the late 80s, the world discovered Botox. Botox isn’t as risky as a surgery, but it is still an invasive procedure. It isn’t just a preventive solution, it can actually turn back the clock for your skin. That too within a matter of minutes. For years, Botox was the best the industry has to offer – but now we are moving towards an even better era for beauty. Botox may be popular, but it still carries all the risks of an invasive procedure. Look up bad Botox job on the internet, and you will see what we mean. Side effects can include swelling, bruising, and even pain. However, if done right, it is nothing short of a miracle. It can remove all the fine lines and wrinkles in an instance. It brings back skin’s elasticity and makes it plumper. No wonder celebs are so addicted to Botox. Now, what if we tell you that you can get the same results without experiencing the downsides? What if we tell you that there is a non-invasive alternative to Botox? No, we aren’t talking about another anti-aging fad. We are talking about a product that has a clinically proven claim for Botox alternative. 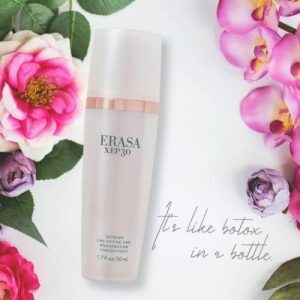 We are talking about Erasa XEP30 – the extreme line lifting and rejuvenation concentrate. It is the ultimate anti-aging concentrate made from powerful ingredients and a patent-pending delivery system. The product is clinically proven to remove, not just some but, all signs of aging. The results are visible in just two weeks of regular use. Some of the signs it eradicates include deep frown lines, crow’s feet, age spots, and expression line. Up till now, injectable solutions were the only answer to these issues. With regular use, you will notice a considerable improvement in your skin texture and tone. 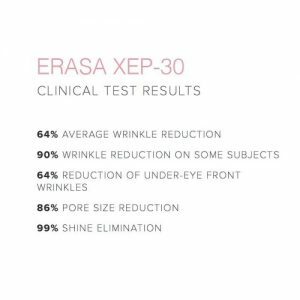 During the clinical tests, Erasa XEP 30 showed wrinkle reduction of up to 90 percent. It is thoroughly tested for safety. The secret behind its exception results in terms of safety is the way molecule engineering was utilized to create a structure that is similar to natural occurring substances. It is why the product is compatible with almost all skin types. It delivers excellent results without side effects. To understand how Erasa works and how well it works, you need to take a look at the list of ingredients at work. Let’s talk about XEP 30 first. It is the next generation line of biomimetic neuro-peptide. It is extremely effective in erasing deep lines and wrinkles that were previously impossible to remove without an invasive procedure. Argireline or Acetyl hexapeptide-3 is yet another neuro-peptide that is known for its powerful wrinkle relaxing effects. In a way, it works just like Botox as both of the products target the same pathway. This little Botox in a bottle contains proprietary whey protein that works as a powerful collagen booster. You get firmer yet more elastic skin. It also contains creatine, an ingredient known for improving cell metabolism and collagen production. Age spots are one aging concern that many products fail to answer. Not this one. It contains Niacinamide – the skincare holy grail ingredient. Other than that, it has skin-whitening agent Glabridin in its pure form. Age spots don’t even stand a chance. Now the magical list of powerful actives is just half the story. To ensure maximum efficiency, a new and exclusive delivery system of two neuropeptides is created. And that makes a world of difference. The X50 Myocept system sends the active ingredients directly to skin cells so that your skin is rejuvenated from within. It is one of the reasons this product is able to deliver such drastic results in such a short time. 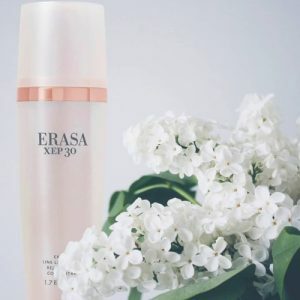 Erasa XEP 30 contains a product that can work on a cellular level, but more importantly, it has a delivery system that ensures those ingredients reach that level. It is why it works for even the most stubborn signs of aging. 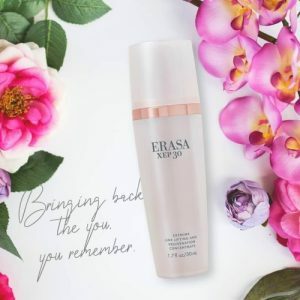 Erasa XEP 30will stimulate collagen production and expedite the skin renewal process. You skin will be more hydrated, plump, and elastic. Ingredients such as Niacinamide strengthen the barrier function and make your skin appear healthier. You will see a dramatic difference in the texture, tone, and elasticity. In just two weeks, you will learn why it is called “Botox in a Bottle”.